In Ancient Greece, the polis or "city-state" was a thriving centre of population, culture, and commerce. The names of these great places echo through the halls of history: Thebes, Sparta, Athens. 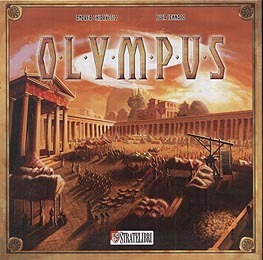 Each polis competed with its neighbours for glory, progress, and power. They grew in population, developed culture, occasionally waged war against each other, and erected magnificent buildings and temples. You have been chosen to lead one of these poleis. You will oversee your people's expansion, and most importantly guide their worship of the various gods and goddesses of Olympus. For it is the favour of these divine beings that you will require if you hope to become the ruling power of the Peloponnesus!